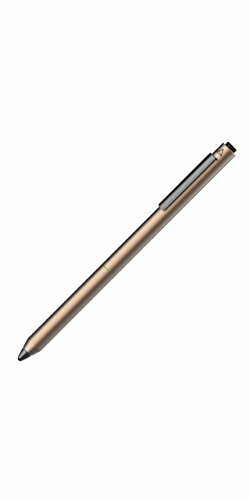 With a simple click - Dash 2 is ready to write, sketch and highlight making it our quickest, most intuitive stylus to date. There’s no need to connect to apps, letting you capture inspiration when it strikes. The improved 1.9mm tip creates a paper-like drag that’s more precise and responsive than ever before. Feel secure carrying Dash 2 to the coffee shop or to the next meeting with its classic pen clip design. Dash 2 is your click and go stylus for fast Ideas in a digital world. "Please note: The improved 1.9mm tip creates a paper-like drag that's more precise and responsive than ever before. As a power saving design, the tip itself sits a little looser in the stylus head; once the tip reaches contact with your screen, it powers on." Fine point: the improved 1.9mm tip creates a paper-like drag that's more precise and responsive than ever before. Click on: open any Note taking or sketching app and begin without the need to connect. Carrying clip: clip and carry Dash's thin, balanced, aluminum body with confidence. Write and draw: a fine point stylus opens up all kinds of possibilities on your smart Device. Recharge: click Dash on for up to 14 hours of continuous use. Click Dash off and charge within 45 minutes. Please Note: Kindly refer the User Manual before use.